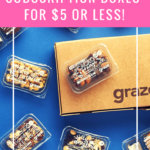 Check out the latest Mommy Mailbox Coupon on My Subscription Addiction! Mommy Mailbox Cyber Monday Sale – 30% Off Longer Length Subscriptions! Mommy Mailbox Black Friday Sale – 30% Off Longer Length Subscriptions! Mommy Mailbox Memorial Day Sale – 15% Off Sitewide! Mommy Mailbox Flash Sale – 20% Off May Box! Today Only! Mommy Mailbox Flash Sale – 20% Off Sitewide! Mommy Mailbox Flash Sale – 50% Off Limited Edition Natural Beauty Box! Mommy Mailbox Halloween Sale – 20% Off November Box or Annual Subscription! Today Only! Mommy Mailbox Total Eclipse Flash Sale – 25% Off Summer Grab Box! Mommy Mailbox Flash Sale – 15% Off Limited Edition Boxes!